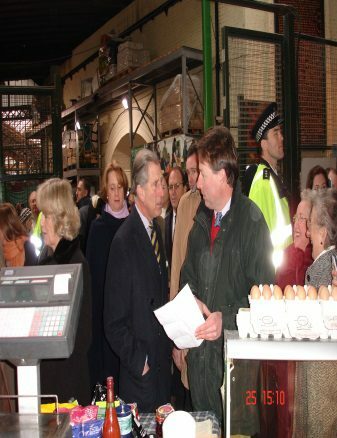 In December 2017, six months on from the terrorist attacks at the Market, Their Royal Highnesses, The Prince of Wales and The Duchess of Cornwall visited Borough Market. 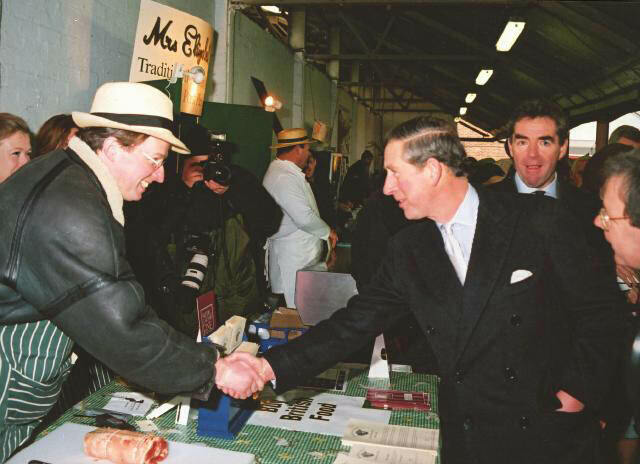 The Prince has been a fairly frequent visitor to Borough. He stopped on this occasion to talk with family farmers Jan McCourt of Northfield Farm and his two sons, Leo & Dominic before proceeding to attend a small and very moving private memorial service at Southwark Cathedral. It is no secret that the Prince has a passion for farming and agriculture. He is especially interested in British rare breeds, being patron of the Rare Breeds Survival Trust. He rears pedigree British White and Gloucester cattle alongside his fine herds of pedigree Aberdeen Angus and Ayrshires at his organic farm on the Highgrove estate in Gloucestershire. 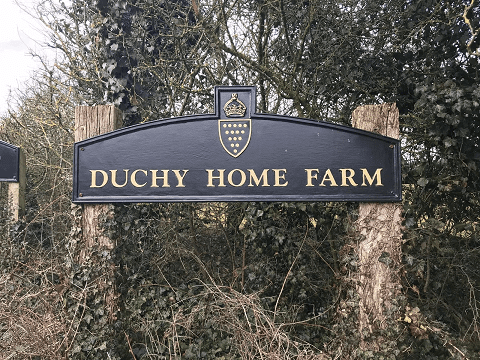 Following this latest of several conversations between Jan McCourt and the Prince, a dialogue started between Jan and David Wilson, the Prince’s farm manager. We are thrilled that Northfield Farm will have our first carcase of pedigree beef from Duchy Home Farm, Highgrove on sale this week at its stall at Borough Market. 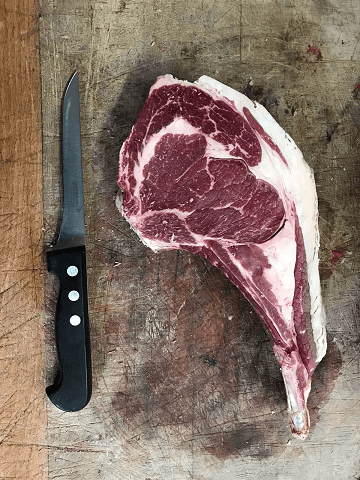 The marbling on this beef is of the highest order stemming from a combination of leading genetics and the slow growing, organic grass fed regime followed by the Duchy Home Farm. This entry was posted in Blog, News and tagged Aberdeen Angus, beef, Duchy, free-range, Highgrove.